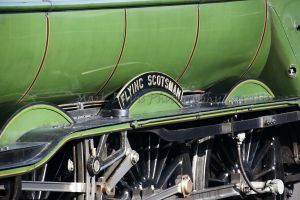 PEOPLE can catch a glimpse of the Flying Scotsman locomotive this Friday (March 31) after it leaves Oxenhope for its journey along the Settle to Carlisle line. 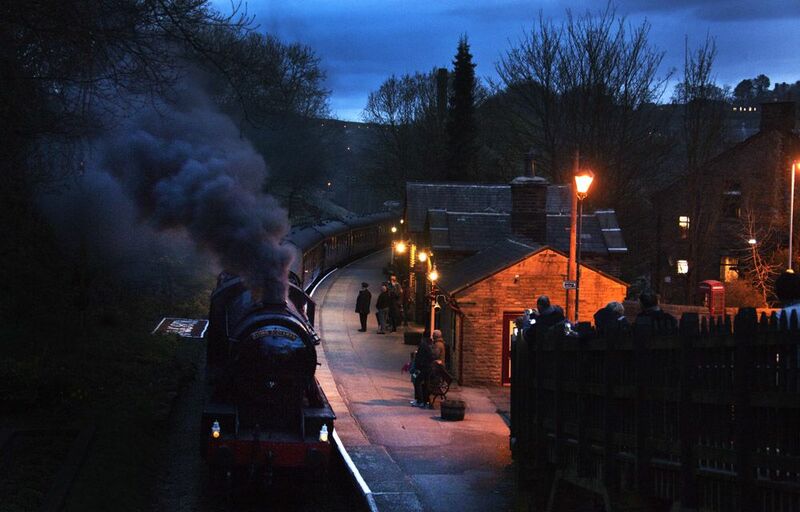 The historic steam engine is due to leave Oxenhope Station at 8.30am on Friday. 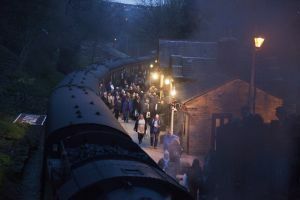 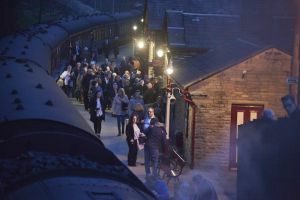 Subsequent times and stations are: Haworth 8.35am, Keighley 9.15am and Skipton 9.45am before the train arrives at Hellifield at 10.08am then departs this station at 10.45am. 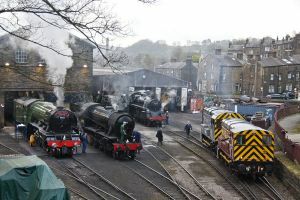 It is due to reach Settle Junction at 10.53am before moving further into the Dales towards Carlisle. 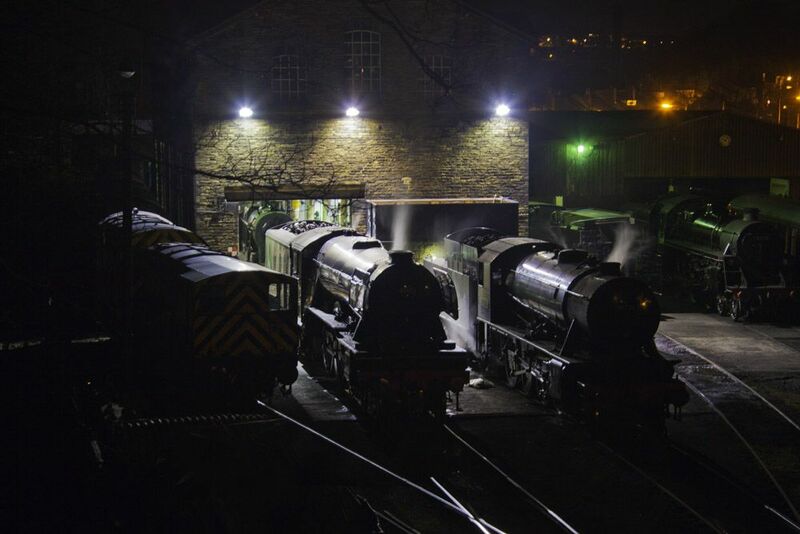 On its return leg later in the day the locomotive is expected to reach Skipton at 6.44pm, leave Skipton at 7.06pm then get to Keighley at 7.20pm, Haworth at 8pm and Oxenhope at 8.10pm. 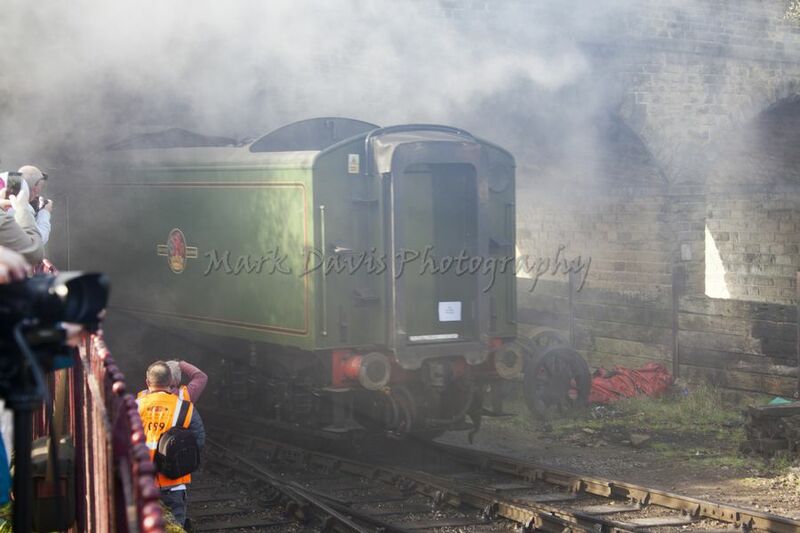 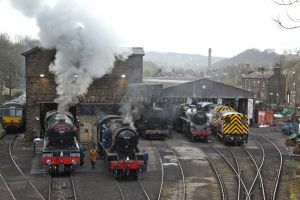 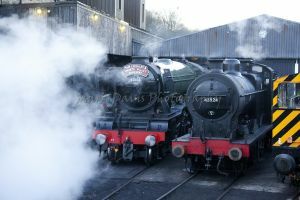 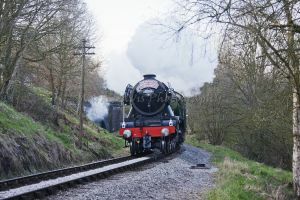 People wanting to watch and take photos of the passing steam engine have been warned not to trespass on either the Keighley & Worth Valley Railway, (K&WVR) Network Rail land or on adjacent private property. 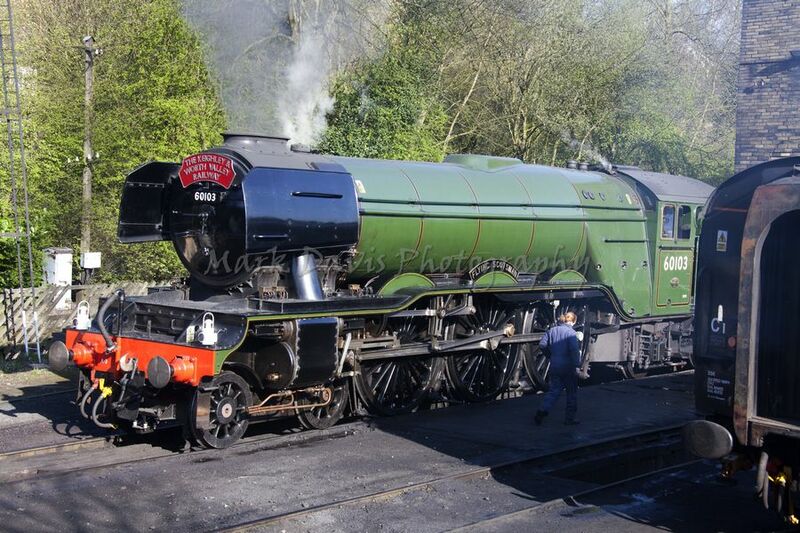 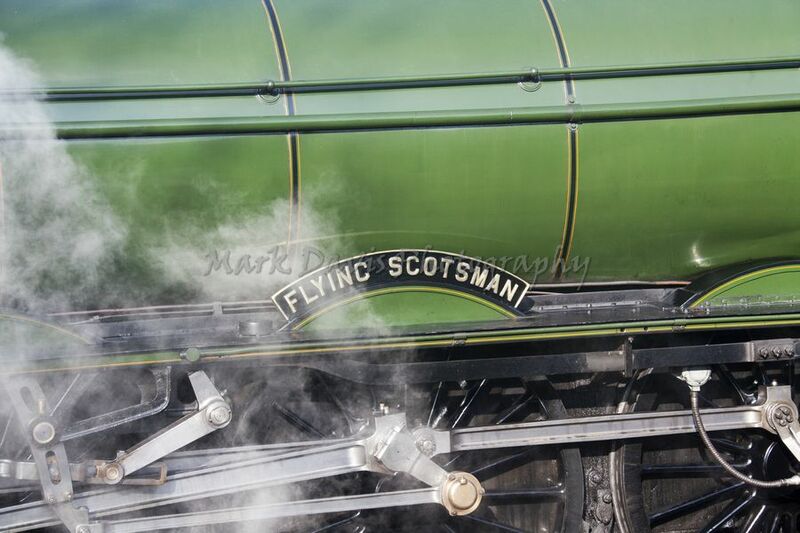 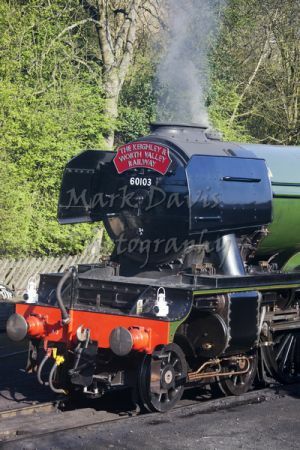 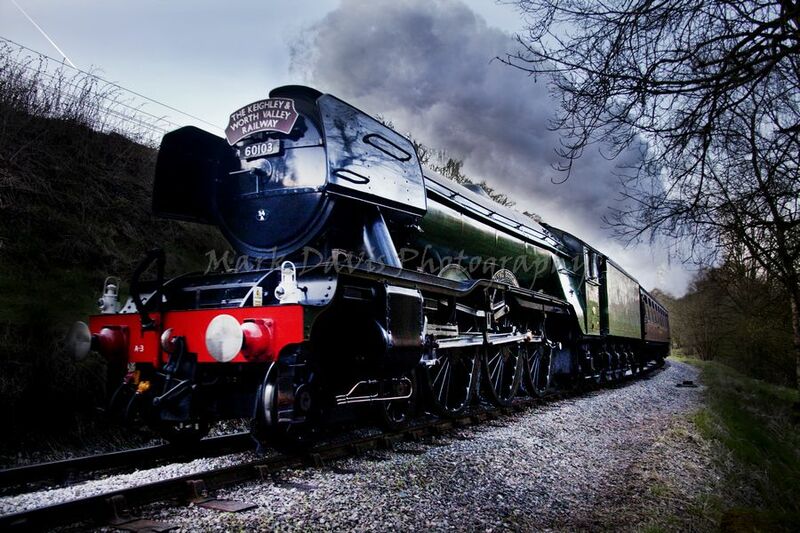 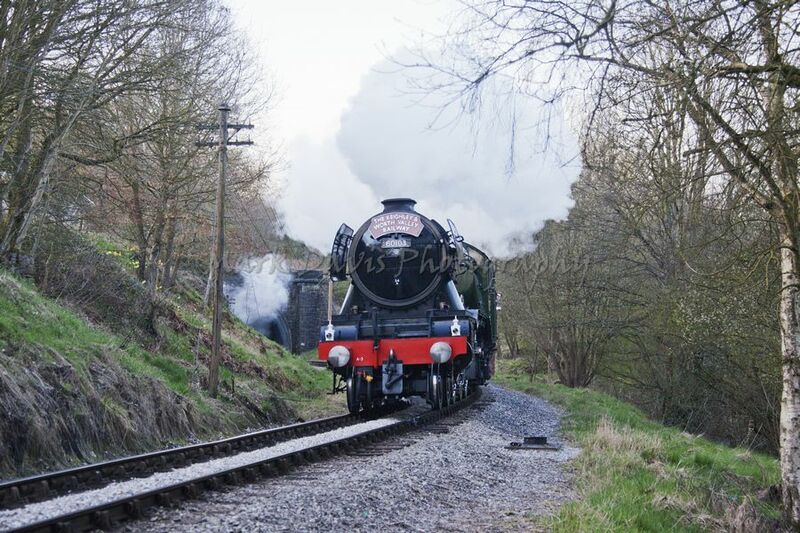 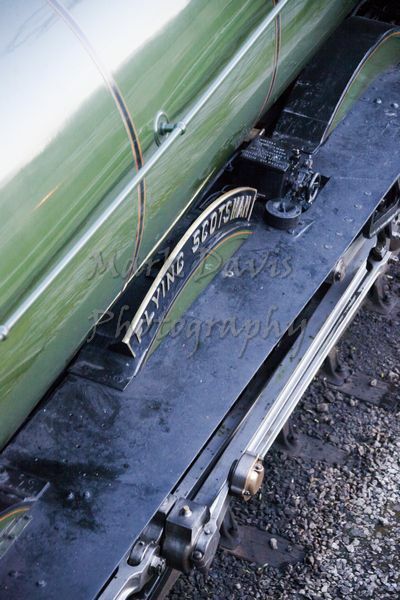 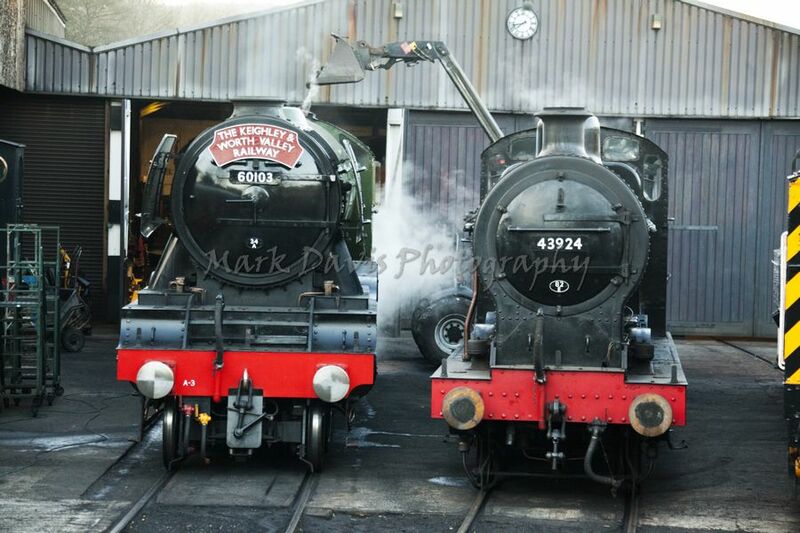 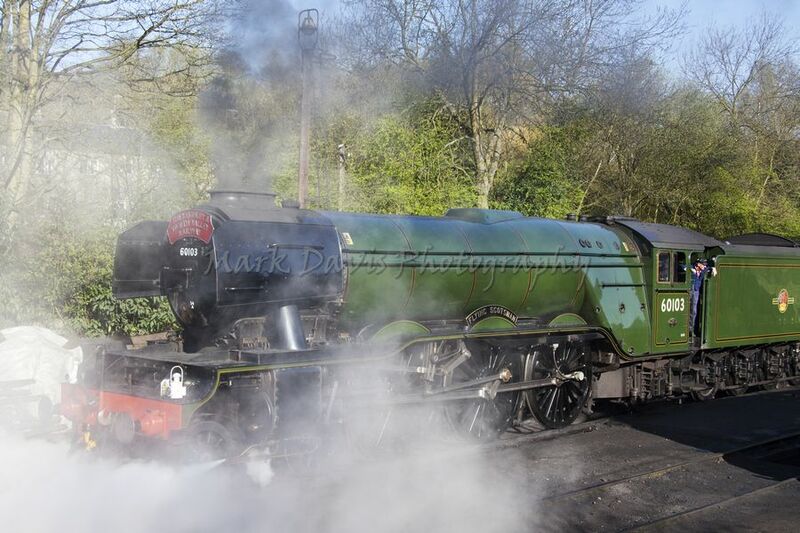 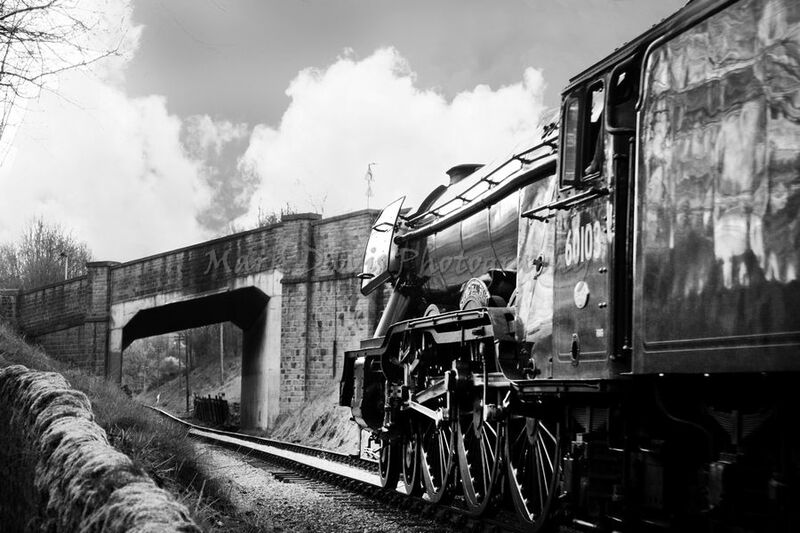 The KWVR will be operating running ‘Flying Scotsman’ from Monday 3rd to Sunday 9th April. Standard and Pullman seats on all trains are sold out apart from a few single seats. 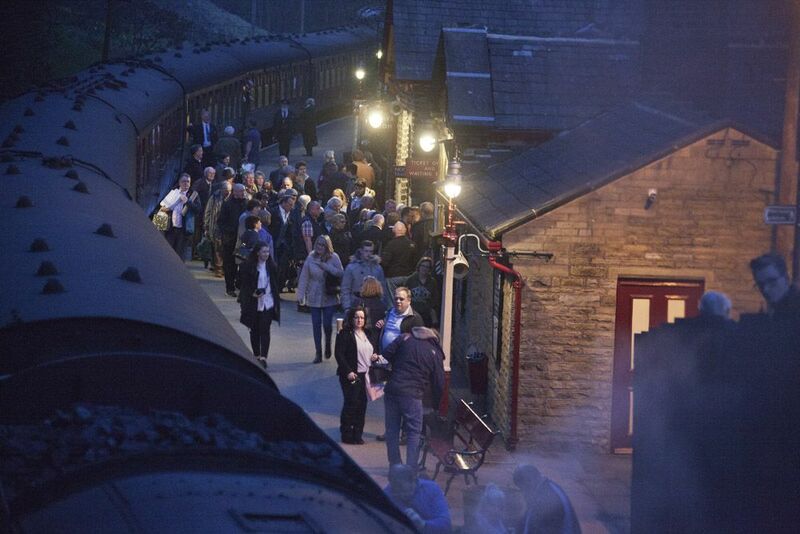 Call 01535 645214 for single seat availability. 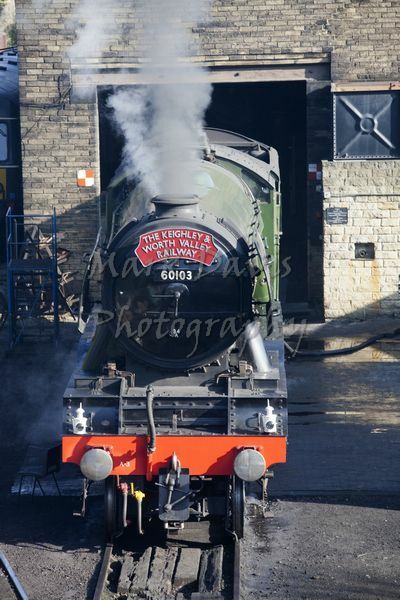 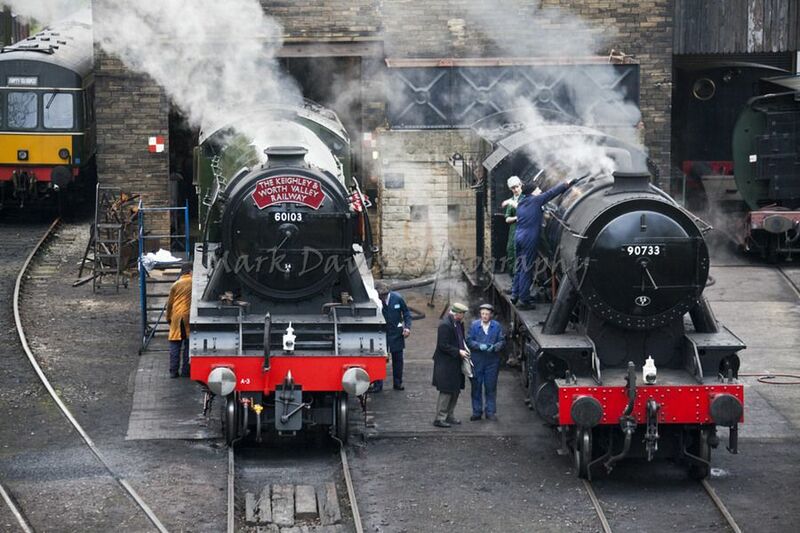 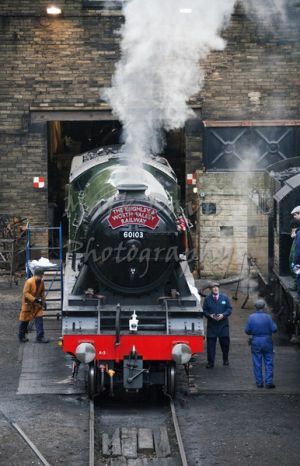 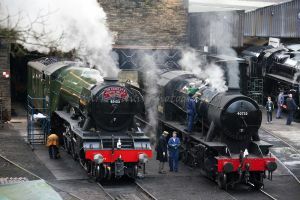 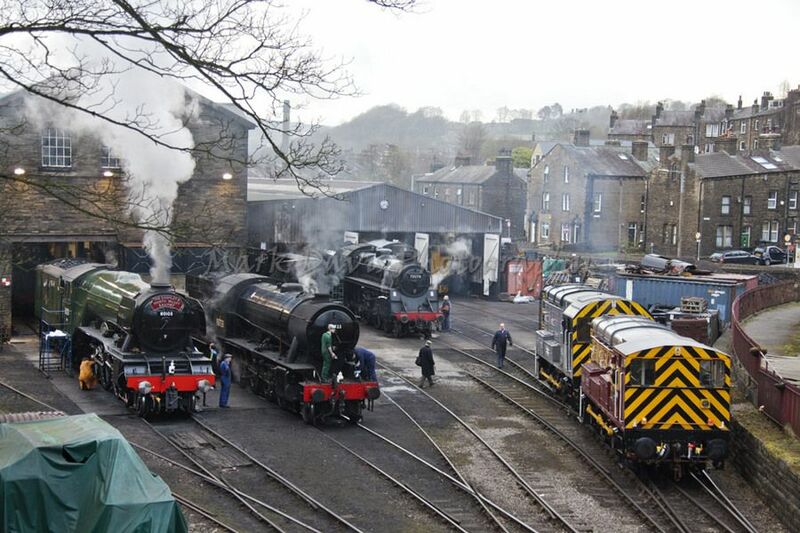 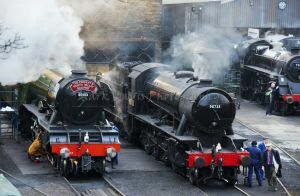 Flying Scotsman will be hauling passenger trains between Keighley and Oxenhope each day. 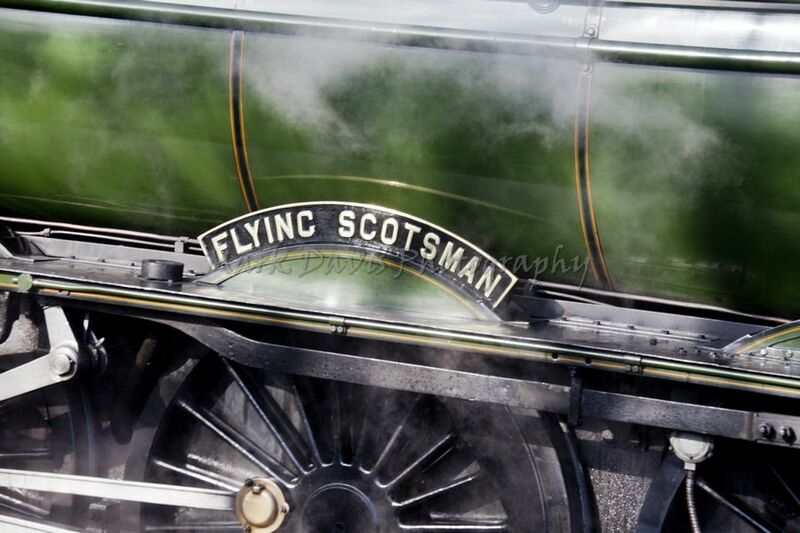 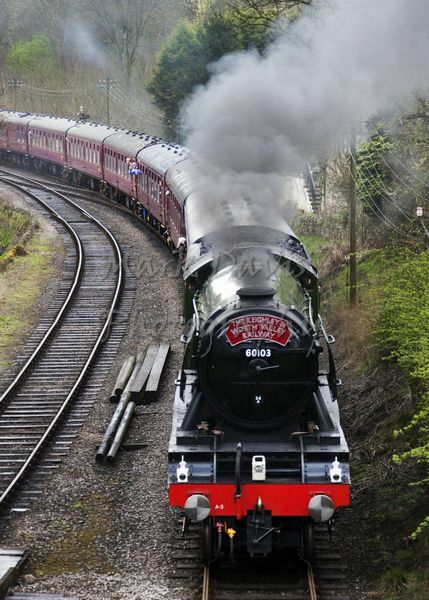 This is YOUR chance to ride behind Flying Scotsman! 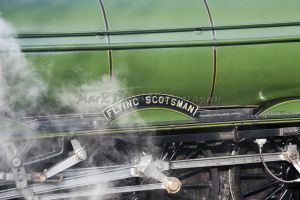 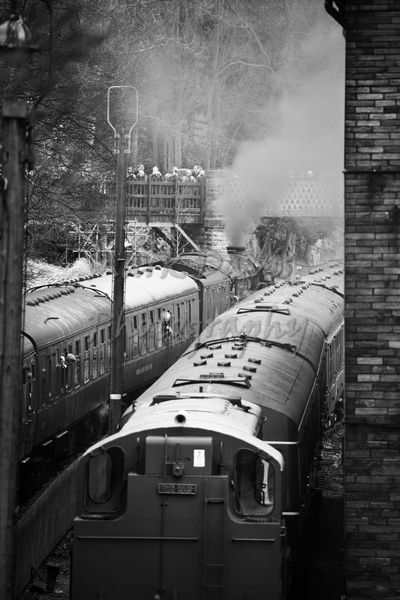 Flying Scotsman will haul your train from Keighley to Oxenhope and one of our resident steam locomotives will take the train, with Flying Scotsman on the rear, from Oxenhope to Keighley.